Tomorrow I am leaving my whole family and going alone to Canada. Just the thought of an 8 hour flight alone is something that’s hard to get my head around. I will miss them all terribly. But I’m sure I’ll be able to enjoy myself as well. A least a little bit. Or maybe a lot. There was a lot of protest from various family members for various reasons. One being the fact I will be able to eat bagels every single day. 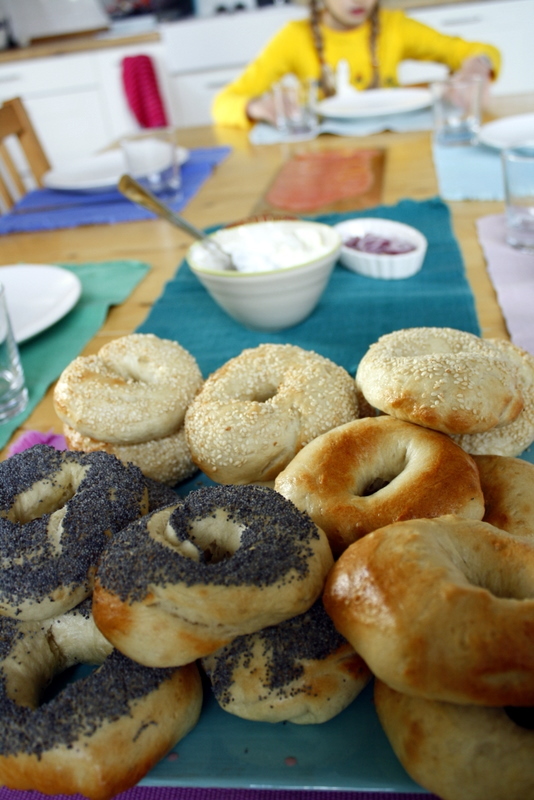 So to make them all feel slightly less slighted by the whole ordeal I made a huge batch of fresh bagels for them all this morning. I made my usual recipe from Nigella Lawson’s book How to be a Domestic Goddess. So easy. And so delicious. 1. Combine flour, salt and yeast. Add sugar and oil to the warm water. Make well in dry ingredients and add liquid. 2. Knead dough for 10 minutes. 3. Put kneaded dough in oiled boil and cover with saran wrap. Let sit for an hour. 4. 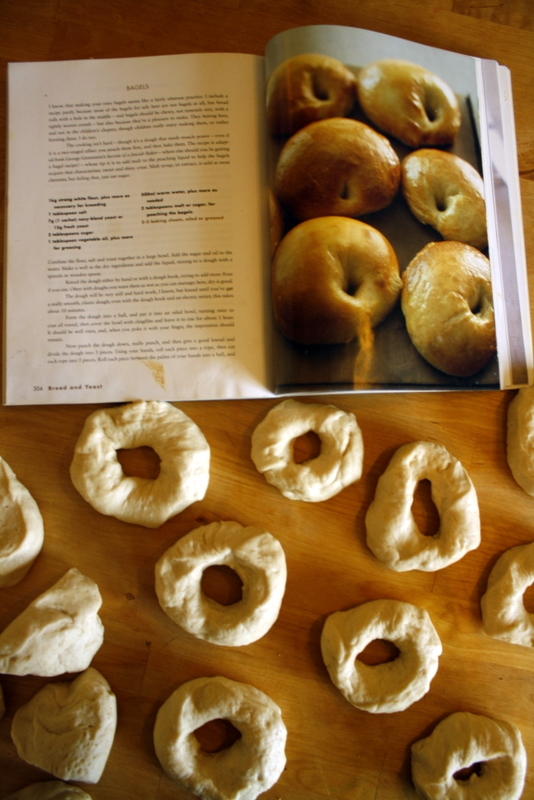 How punch down dough and divide into 16 pieces and form into bagels shapes. 6. 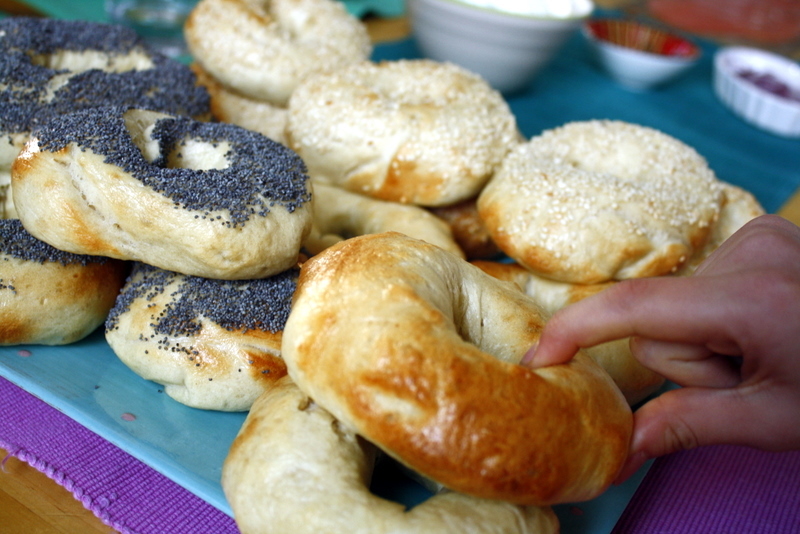 Now is the time to dip bagels in any sesame seeds or poppy seeds or anything else you can think of. 7. Bake in a 240 degree (celcius) oven for 10-15 minutes. 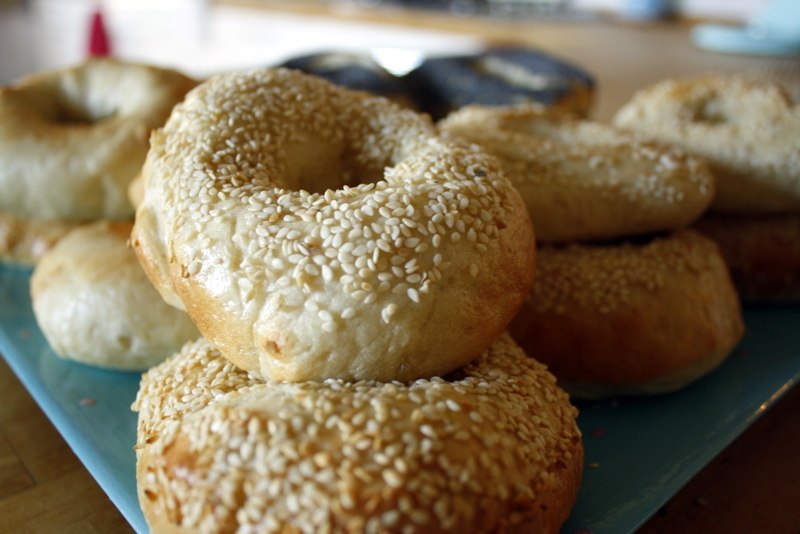 Beautiful bagels. Have a great trip.